Eastlink Curling Centre - Families + Curling = Fun! Over 50 people turned out for our Family Fun Day on January 19th, including kids as young as 4 and their parents, grandparents and friends. We even had visitors from Omak and Seattle! The day began with a 2-minute video guide to curling followed by an overview of safety and sweeping, then everyone went on the ice to learn and practice their new skills for an hour. 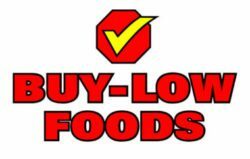 Then it was time for a great lunch generously provided by Buy-Low, plus popcorn thanks to the loan of a popcorn maker from Oliver Parks and Rec. After lunch, teams were put together to go play a game punctuated with laughter and cheers as shots were made or missed. Every child/youth who took part was awarded a certificate of participation and a goodie bag containing chocolate, Subway coupon and Oliver Theatre gift certificate. Special thanks to Subway for the coupons and to Lyle Miller of the Oliver Theatre for matching every $5 gift certificate with a free child or student movie pass. And congratulations to all the curling families (most of whom had never curled before): Colk, Danbrook, Dumas, Khodarahmi, Kirs, Kistler, Knechtel, Seminoff, Whittalll and Wise! Huge thanks to our volunteers who made it such a great day for all these families: Dave McCombe, Phil Anderson, Polly McKay, Tracey Boen, Tracy Zandee, Ron Brooks, Jen Seminoff, Diane Tetreault, Brandon Paetkau and Kaitlyn Rouw (our two juniors), Ron Pidduck, and our fabulous school program coordinator, Cathy Pidduck, who made it all happen! Stay tuned for more family events at the Oliver Curling Club this season.